AMD is slightly late in releasing a worthy competitor to rival the Nvidia GeForce GTX 1080. 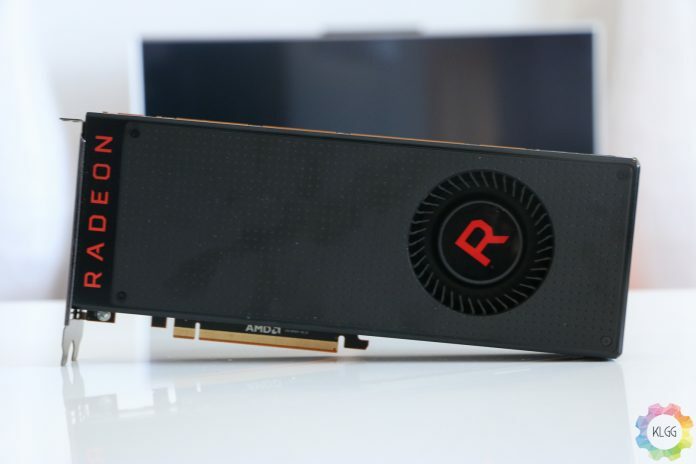 We have seen the RX 500 series release earlier last year and those cards still did not catch up to its Nvidia counterparts. Even with the later release, AMD has not been able to reach the capabilities of what the GTX 1080 could achieve, but with a lower price point, is the difference in performance justifiable enough to choose Team Red over Team Green? Unlike the futuristic curve design that the GTX 1080 comes with, AMD has opted for a minimal design for the Vega 64. Some might even call it boring, but in my honest opinion, I am really liking the simple plain design. Towards the right sits the fan which has a similar design to the GTX 1080 but it does not feel as solid, it seems like it is not sitting well with the body so when it is spinning fast, it will produce a loud noise. 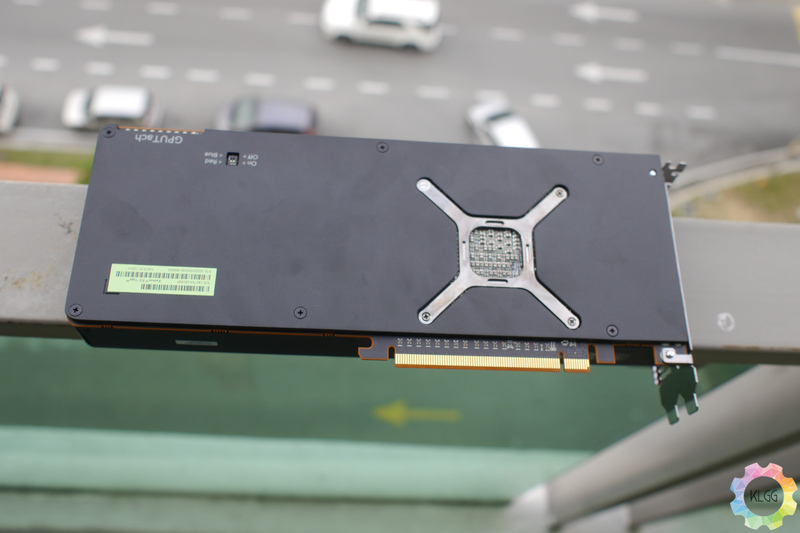 The bottom plate is not fully covered as you can see the PCB board that is holding the GPU and the frame which the heatsink is mounted to. 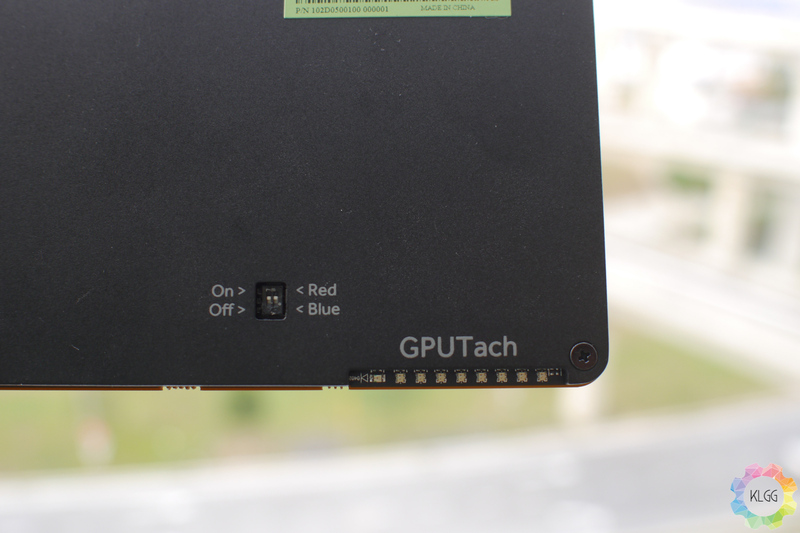 On the right is the GPU Tach indicator, similar to the Radeon R9 graphics cards, it shows you the intensity the card is going through, but the position is questionable. 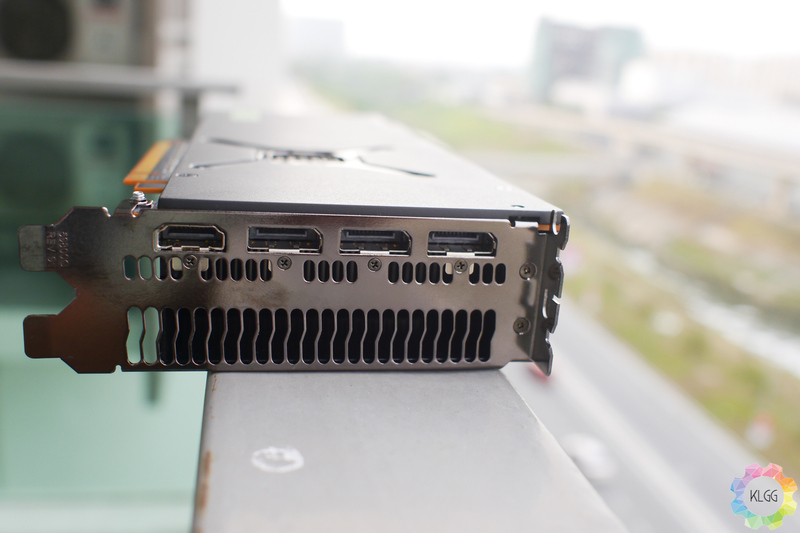 Unlike the R9 which was positioned at the top of the PCIe power connectors, it is placed on the bottom right of the back plate which is pretty hard to see even if the card is in an upright case. 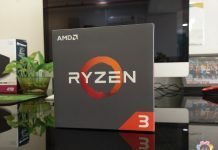 Finally, AMD has provided a decent amount of ports like a single HDMI port and three display ports. 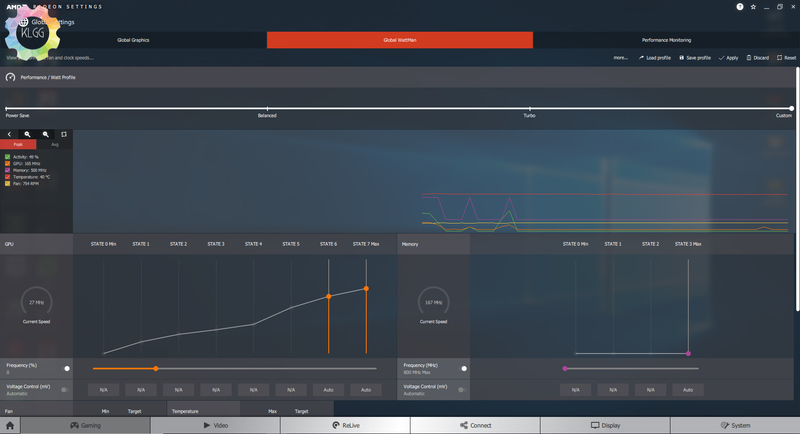 The Vega 64 is using the newest Vega architecture which was created to meet the need of gaming and VR markets. 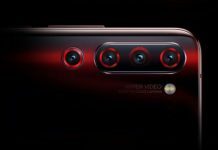 This architecture allows for the new Vega graphics card to operate at a much higher frequency thanks to the lower leakage power of FinFET transistors, allowing for boost clocks as high as 1.67Ghz. They also managed to fix one major issue that plague the Polaris cards, scalability. On paper, the Vega 64 comes with specs that should be able to match up to the GTX 1080, with 64 compute units, 12.7 Teraflops of power, 8GB High Bandwidth Memory (HBM), 1247MHz base clock speed and a boost clock speed of 1546MHz, it should be a breeze for it to produce the best performance when running games on medium to high settings, and it seems to match up with our expectations by rendering games on the highest settings, above 60 FPS. 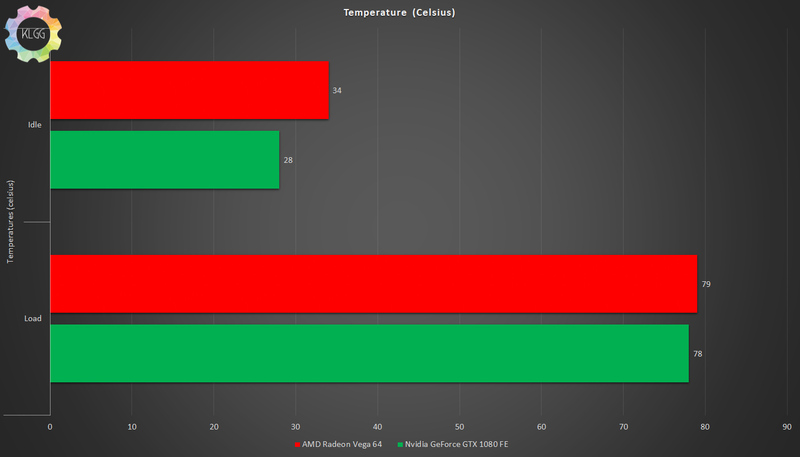 For the sake of comparison, we are also listing the benchmarks of the GTX 1080 against the Vega 64, just to give you an understanding of the performance of both the cards. For all of the games tested above, the Vega 64 manages to be on par with the GTX 1080, lagging behind by an average of 10 FPS in most games. The only difference we see is in Assassin’s Creed Origins benchmark, as the GTX 1080 manages a 20 FPS lead, and when it came to Deus Ex: Mankind Divided, the performance is exactly the same. All the games are set to the highest settings with V-Sync and Anti-Aliasing turned off. Surprisingly, when it comes to everyday task like browsing the internet, making a conference call and opening up documents, the Vega 64 performs slightly better than the GTX 1080, but at the end of the day, we don’t expect anyone buying a high-end graphics card for that kind of usage. 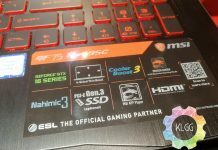 However, if you are using your desktop for work and play, this could be a valid point to get the Vega 64, but then again, the difference is not big. 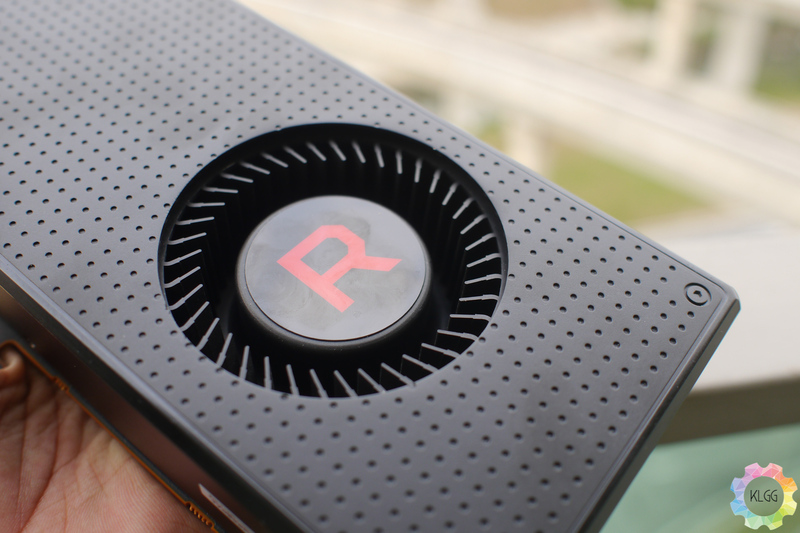 There is not much difference when it comes to thermals, as both the graphics card seem to operate just below the 80 degrees mark on load, but when it comes to fan noise, the Vega 64 does produce a much louder noise compared to the GTX 1080. This might be a huge factor for those of you that want a silent operation, but it is not audible when placing it into a case. 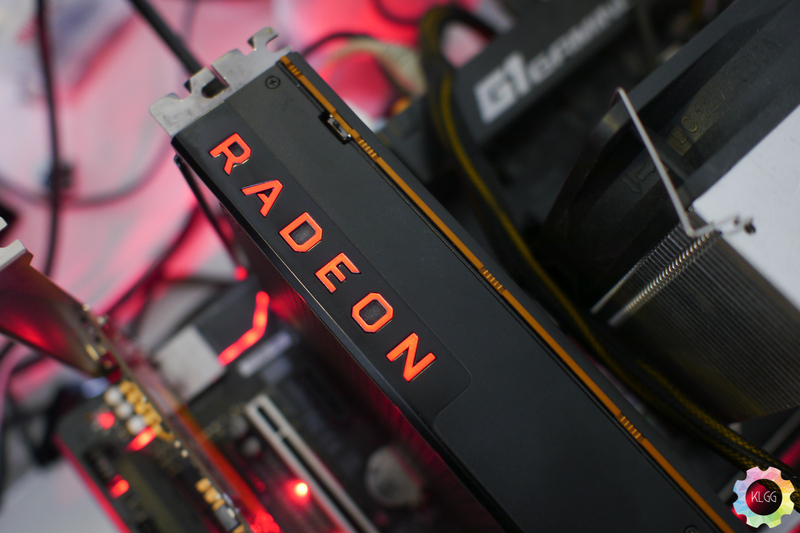 With a graphics card as powerful as this, AMD has included the Radeon Settings Software that will allow you to further monitor your card’s health and for those of you adventures enough, provides overclocking options. Overclocking is as simple as moving around bars and changing values but during my experience of overclocking the card, it seems to have some throttling issues. 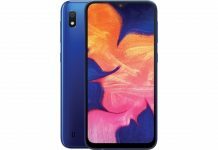 When it reaches a particular temperature, the card seemed to underclock itself, which is obvious as games hang for a few seconds and performance seem to drop to its regular state. This is perhaps a safety method to preserve the card from heat damage, but if you are planning to overclock the Vega 64, we recommend that you use liquid cooling. 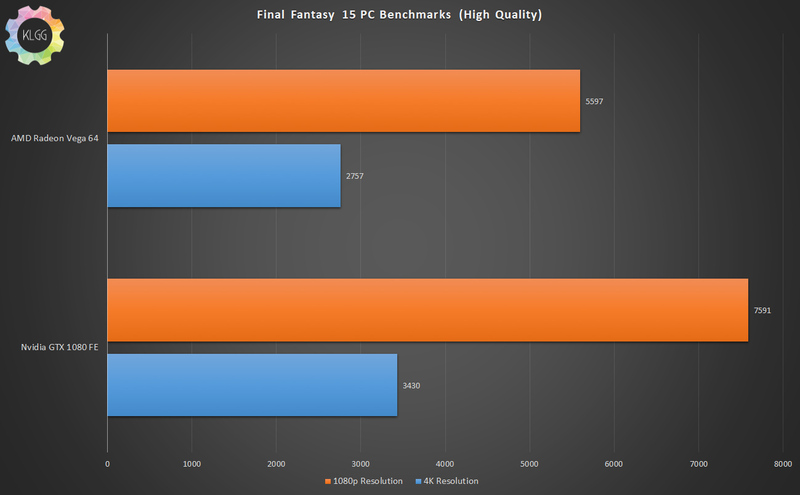 We know a lot of you are looking forward to the release of Final Fantasy 15 on the PC, so we took the initiative to test out these two cards to see how it performs when benchmarking the game in 4K and 1080p with the High-Quality graphics settings. 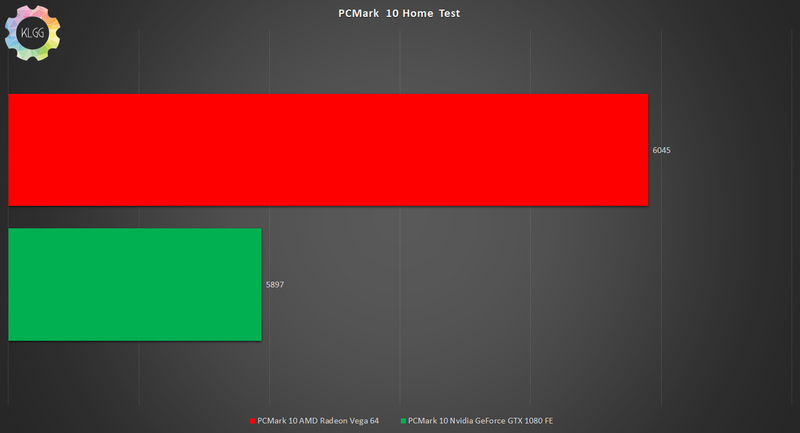 Sad to say, the Vega 64 does not play nice with the game as we are seeing massive differences with the scores, the GTX 1080 leaves the Vega 64 in the dusk for both the 1080p and 4K test. If you are still deciding on getting either of the cards to play the game, I think your choice is obvious enough. 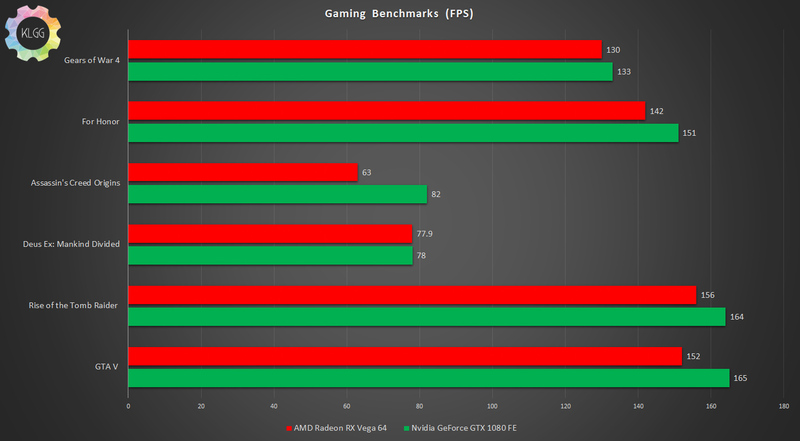 The performance of the Vega 64 might change when the game is officially released and is properly optimized, so take this benchmark with a pinch of salt. 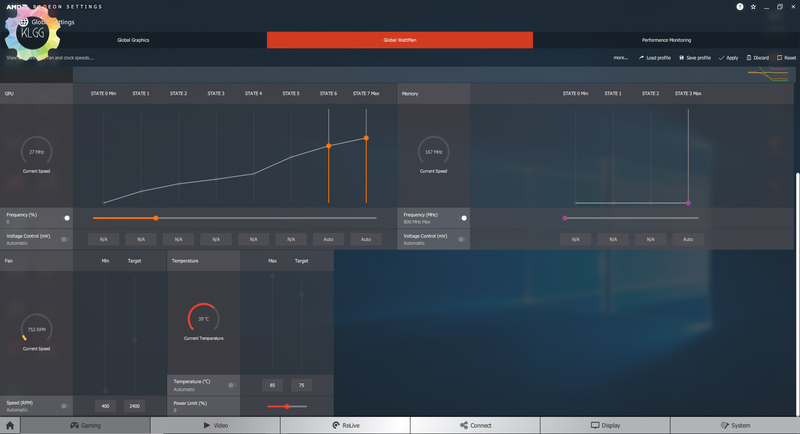 You can download the benchmarking software here if you want to test your own system. 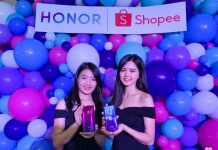 If you are a serious gamer that wants the best graphics performance, then either of these graphics cards will serve you well. The Vega 64 might be louder and lags behind a few frames, but it still performs well and comes with cheaper price tag of $499 compared to the GTX 1080 which retails for $599. It is a tough choice to pick the better graphics card, but at the end of the day, would you pay the extra $100 for a 10 FPS improvement? The Vega 64 does show great performance but the problem boils down to the $100 difference for 10 FPS improvements that you will get with the GTX 1080. If money is not an issue, then the choice is pretty obvious. Tarvin's passion for technology sparked at the age of 10 years old and has never looked back. 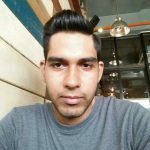 Interested in the latest tech and obsessed about video games, he is always trying to get the latest tech in his hands and endlessly tinkering with his gaming setup.